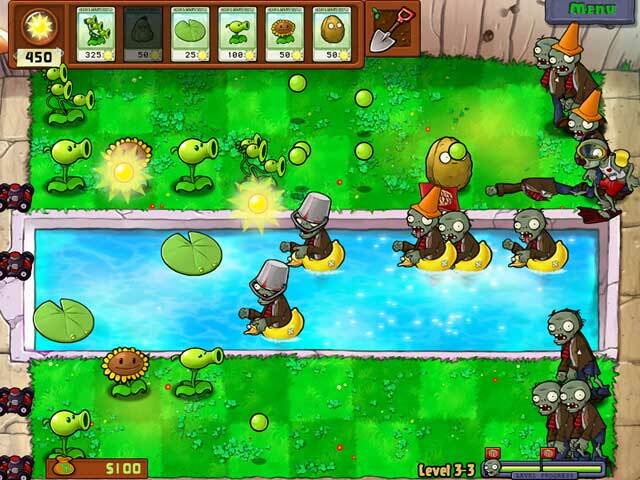 Plants vs. Zombies was developed and published by PopCap Games for XBLA on September 8, 2010. Retails for 12oo Microsoft Points. A copy of the game was given to us by the publisher for reviewing purposes. The tower defense genre has become quite crowded within the last few years. But like any popular genre, a few certain titles manage to stick out and become synonymous with it. 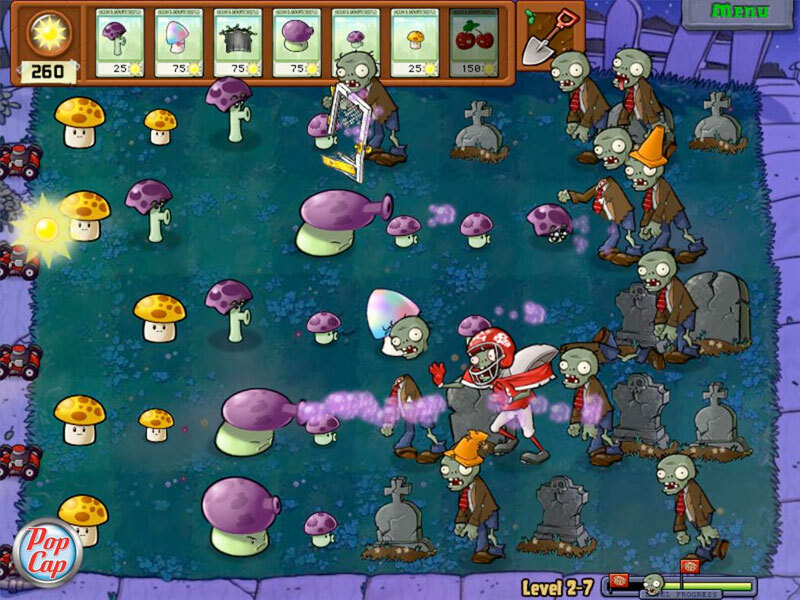 Plants vs. Zombies is one of those genre-defining games, and now Xbox 360 gamers can get a taste of the delicious brains that PopCap has cooked for the Xbox Live Arcade. For those new to the game, PvZ is a tower defense game that has the player defending their yard from brain-eating zombies by planting various types of plants. Instead of forming a path for the zombies to follow, you are given six lanes to work with, where the zombies shamble their way toward your house in a straightforward manner. 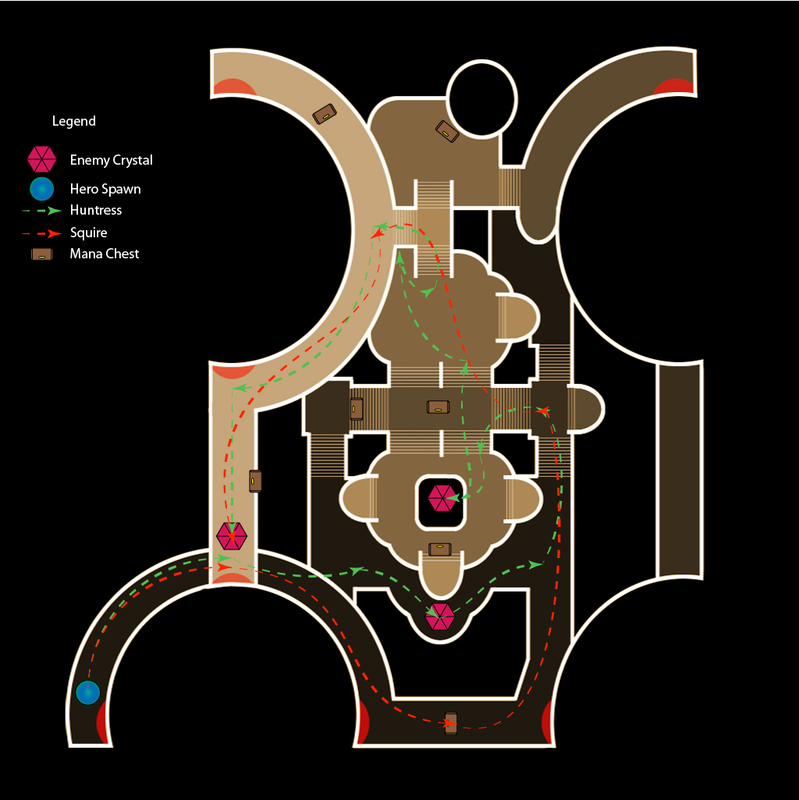 Meanwhile, the player must strategize between managing resources and building the right type of plants for certain situations. It’s very peculiar premise, but it is wonderfully executed in its gameplay design. The difficulty steadily increases throughout the single player Adventure mode, and during it you’ll eventually unlock 48 different types of plants to use against 26 different types of zombies. There’s a surprising amount of strategy involved as the game progresses and presents new challenges and items, and it never becomes overwhelming like some other tower defense games. Large gameplay variety – Besides Adventure mode, there’s a great variety of extra game modes, which include versus, co-op and survival modes. While these modes need to be unlocked by progressing through the Adventure mode, you won’t mind because the game is fun and a joy to play. The Achievements are clever and can get you to try new ways to play the game, which is surprisingly deep considering its initial simplicity. There’s a ton to do with this game, which is definitely more than most tower defense games can offer. Charming and lighthearted visuals – PvZ is light on violence and thick with personality and humor. Everything from the plants, to the zombies and to the menu interface is slick, colorful and witty. The animations are often humorous, with some specific zombie types that really steal the show. It’s not “laugh out loud” funny, but undeniable in its appeal. As with Peggle, PopCap knows how to make a game look beautiful and distinctive, and PvZ looks even better when seen on a big HD screen. Great audio – For a game as simple and unique as PvZ, the fact that there’s some great music and sound effects are extremely important. You will often spend a lot of time looking at the same screen and fighting the same types of enemies, and the remarkably catchy music goes a long way in increasing your enjoyment of the game. Important audio cues will also give you a heads-up on what’s about to happen and what’s coming next. Much like the rest of the game, it’s so simple and perfectly integrated that you almost don’t notice it which is a prime example of why this game so greatly designed in every aspect, especially in the audio department. Price is high – For a game that costs $2.99 on the iPhone, 1200 Microsoft Points ($15) is a bit high. Yes, the XBLA version has a variety of extra modes with multiplayer, but I worry that many people will simply pass up PvZ simply due to it’s price. It’s a very unique game with a distinctive look, which combined with its cost might turn away some people who might otherwise give it a chance. Like Peggle before, PvZ certainly has something special about it that will hook some people and not let go. If you fall into this category, then I can’t recommend this game enough. For others unsure or put off by its strange premise, do know that there is nothing like it on XBLA or anywhere else for that matter. It’s addictive to play and delightful to look at, and if you can get past how much it costs then I can guarantee that you will have a great time with this tower defense game.